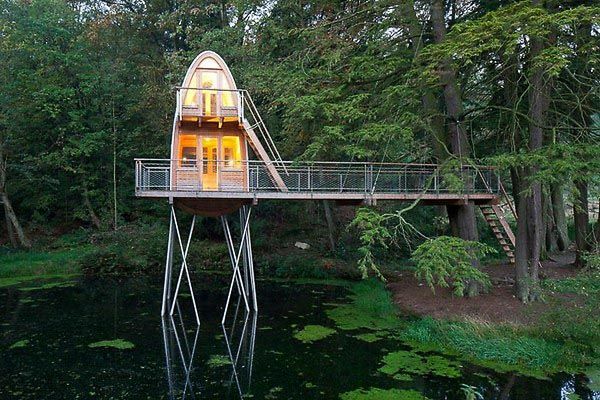 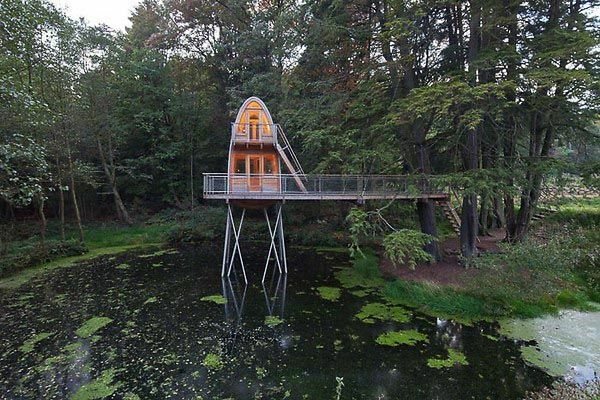 This two-storey treehouse tower in a pond was designed by Baumraum for a family in Lower Saxony, Germany. 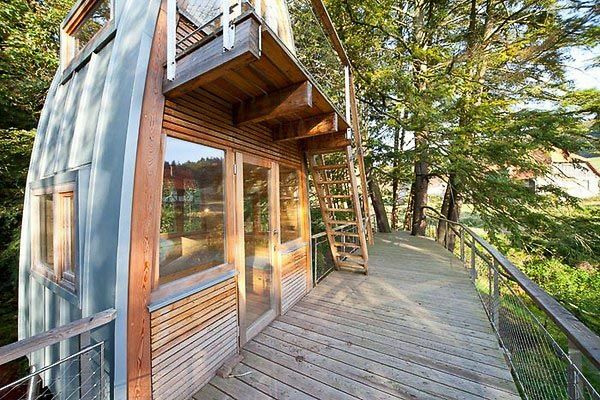 The main space is accessable by stairs from the water's edge and another exterior stairway leads to the upper sleeping area. 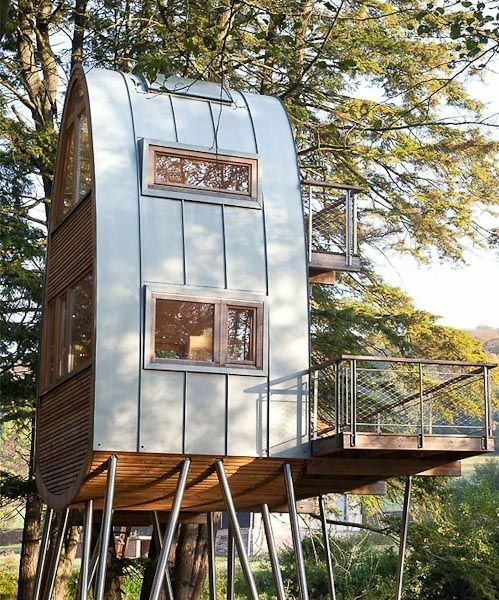 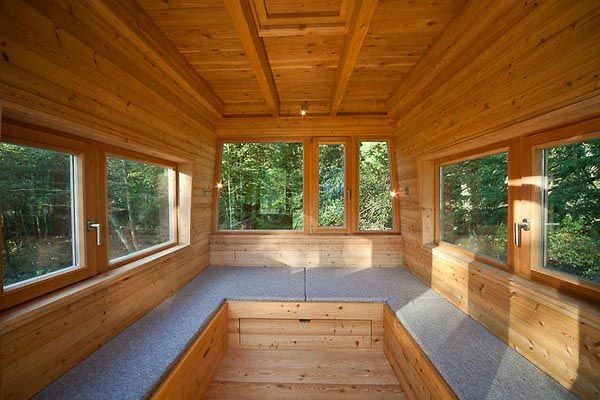 During the day, the treehouse serves as a vantage point for observing fish & frogs in the water and deer grazing on the adjoining meadows. 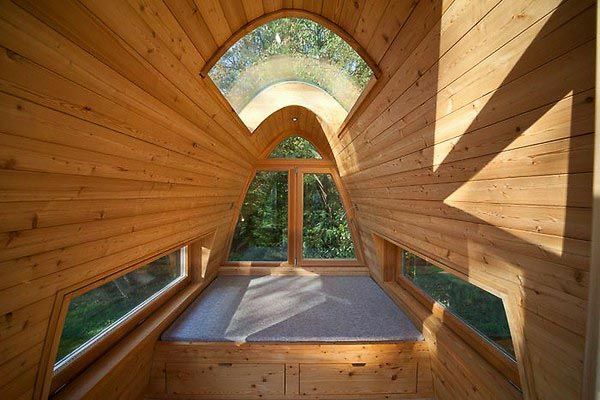 At night you can gaze at the stars through the domed skylight in the sleeping area.